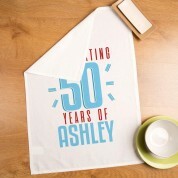 A brilliant gift idea for a loved one celebrating a 50th Birthday. 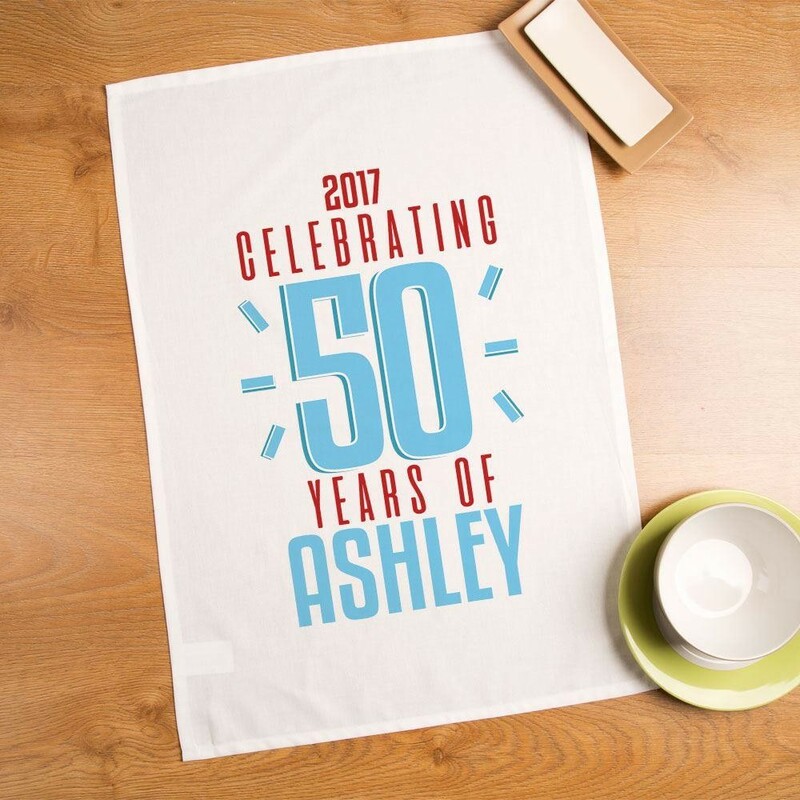 If you know someone who spends an enormous time in the kitchen - whether it is preparing food or getting through an endless pile of dishes - then this is the ideal gift for them! 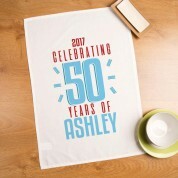 Brighten their kitchen up with this colourful tea towel, which reads the special date, followed by “celebrating 50 years of...” and the recipients first name. 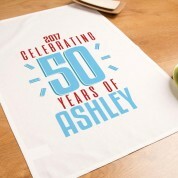 The red and blue design will stand out for miles in the kitchen, and she will love to show it off when entertaining guests on their big day.